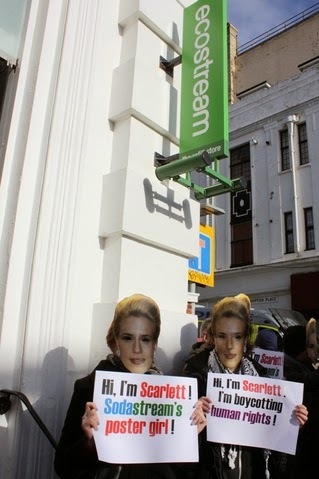 Another great demo outside Ecostream today. 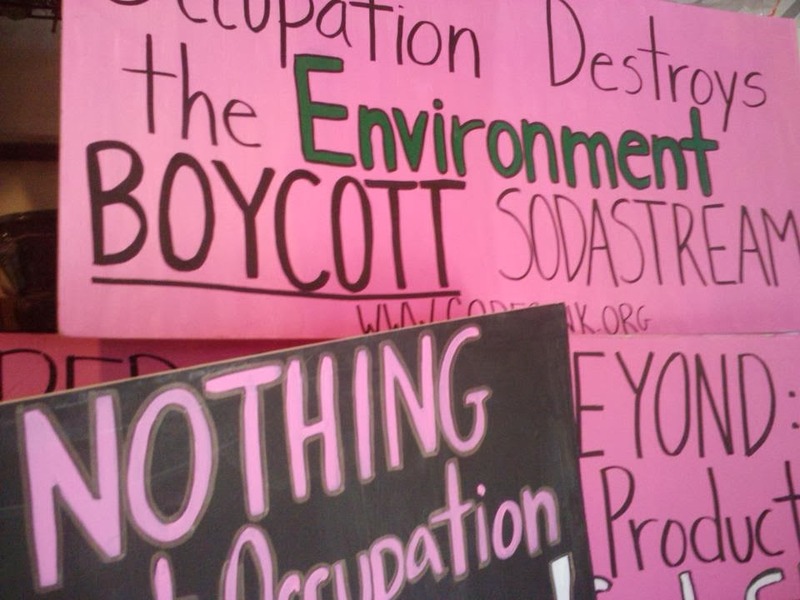 We all know that Sodasteam's a toxic brand, profiteering from Israel's occupation of Palestinian land. 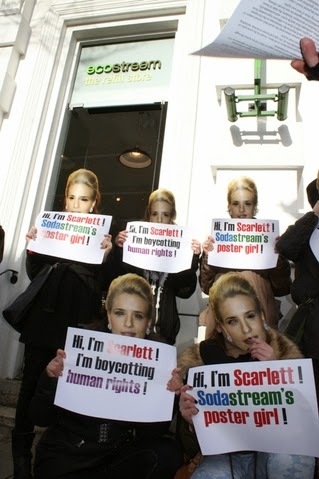 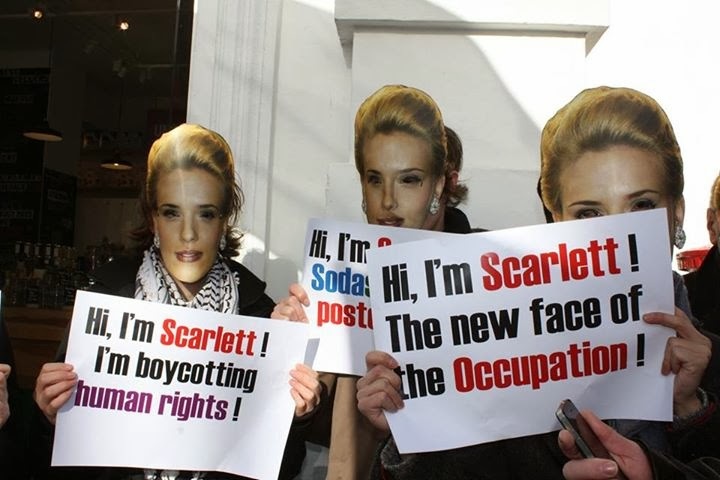 It was bizarre to hear the local mad Zionists shouting 'Oxfam is a toxic brand' because Oxfam had the good sense to drop Scarlett Johansson when she sold her soul and decided to also profit form Israeli apartheid by working with Sodastream. 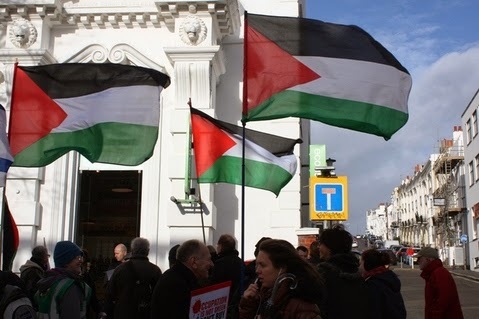 The Zionists and Fundamentalist Christians who support them are getting crazier by the minute. 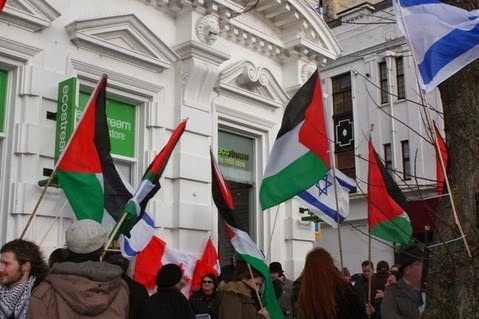 An Israeli oddball, who goes by the name Shaike Rozanski stepped towards me with a view to attacking me and I was forced to throw a left hook. 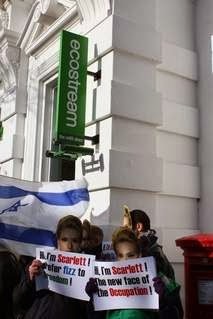 The Police took details but this nothing more.